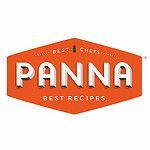 We're excited to announce a new partnership with Panna, a subscription cooking app and website dedicated to sharing recipes from master chefs in HD video. Over the next 12 months, Amanda and Merrill will be featured in six issues of Panna, cooking some of our favorite recipes on Food52. We'll have the previews for the full episodes here on Food52 -- along with full-length videos featuring cooking tips drawn from the recipe (like how to infuse cream for custard). Today, Merrill takes the lead and makes Midge's Burnt Caramel Pudding, a rich, silky dessert that can be made a day ahead -- music to any holiday host's ears. Check out the preview below, and then watch the full-length video on Panna's website. And stay tuned for the tip videos later this week. Note: As a special promotion in connection to this partnership launch, this first recipe video is free to watch in full on Panna's website. Enjoy! Panna uncovers the nuances of cooking like a pro by showing every insider detail, from how to handle ingredients to the precise moment when a browning tart should be pulled from the oven. The experience of watching exceptional recipes unfold in HD yields exciting results for any level. Try their free issue now. I've been a baker, math tutor, webmaster, camp counselor, social media manager, research analyst, editor, and recipe tester -- not necessarily in that order. But if you find me without a book on food or cooking, then you've got the wrong gal. And no recipe for those of us on limited download bandwidth?